A member of the public becomes emotional viewing Aretha Franklin’s coffin at Charles H. Wright Museum of African American History during a public visitation in Detroit on Tuesday. Franklin died Aug. 16, of pancreatic cancer at the age of 76. Aretha Franklin’s coffin lies at Charles H. Wright Museum of African American History during a public visitation in Detroit on Tuesday. Franklin died Aug. 16 of pancreatic cancer at the age of 76. As Franklin’s powerful vocals from classic gospel performances were piped through the Charles H. Wright Museum of African American History in Detroit, the Rock and Roll Hall of Famer looked as if she was preparing for one more performance. She wore earrings, red lipstick and red nail polish, and her hair was cut short. 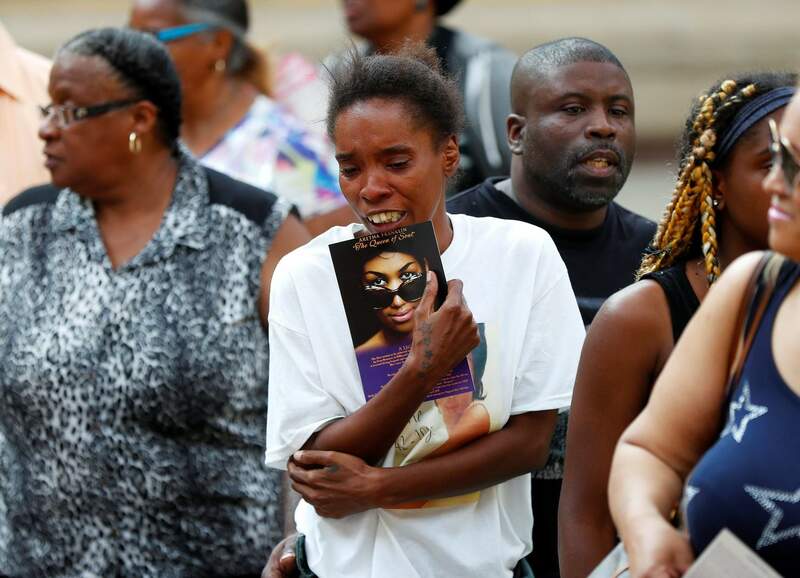 Her dress – with its ornamental elements and sheer netting fabric – was reminiscent of an outfit she would wear onstage and “something she would have selected for herself,” her niece, Sabrina Owens, told The Associated Press. Mourners poured into the museum to pay their final respects to Franklin, who died Aug. 16 of pancreatic cancer at the age of 76. The two-day viewing was part of a week of commemorations for the legend, who will be laid to rest Friday. The setting for the viewings could not be more fitting, said Paula Marie Seniors, an associate professor of Africana studies at Virginia Tech. 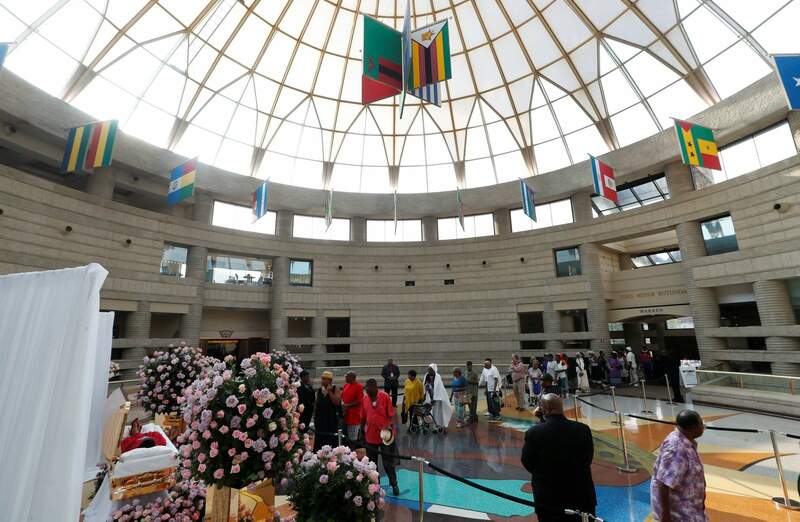 “I think it’s incredibly significant – she is being honored almost like a queen at one of the most important black museums in the United States,” Seniors said. “She respected them – she understood that if it were not for them, she wouldn’t be who she is,” she said. One of those fans, Cheryl Matthews, never met Franklin but felt close – and hurt by the loss.